DOES HIS FATHER OWN THE TRAIN? PLEASE ENLIGHTEN ME! You are at:Home»Caught In The Act»DOES HIS FATHER OWN THE TRAIN? PLEASE ENLIGHTEN ME! 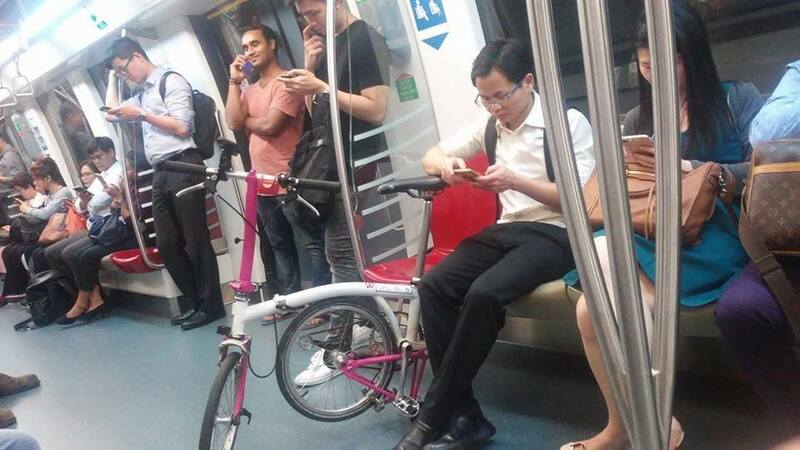 A man was spotted selfishly taking up the reserved seat so he could park his bicycle.This bicycle can barely fold up properly, can bring into MRT? MRT security sleeping ah? Actually, most of the time MRT security is actually sleeping. Previous ArticleBMW DRIVER MADE ELDERLY PUMP ATTENDANT PAY FOR $125 OF PETROL!! !